Changing geopolitics has progressively eroded the foundations of the ACP-EU partnership and the bargaining power of both the EU and the ACP Group, writes Rhys Williams. Rhys Williams is Communications Officer at the European Centre for Development Policy Management (ECDPM) a think and do tank working on global development based in Maastricht (Netherlands) and Brussels (Belgium). Europe and Africa have a long history of cooperation on economic, social and environmental development dating back to the Lomé Conventions of 1975. Since 2000, the partnership between the 28 EU member states and the 79 countries that make up the African, Caribbean and Pacific Group of States (ACP) is underpinned by the Cotonou Partnership Agreement. It manages a budget of €30.5 billion through the European Development Fund. This is Europe’s biggest budget for development cooperation that delivers long-term and predictable funding to the ACP, in particular countries in Sub-Saharan Africa. The agreement is often hailed as a comprehensive model of cooperation between the ‘global north’ and the ‘global south’ as it is based on a legally binding agreement with three key pillars: development cooperation, trade and political dialogue. However, it will expire in 2020 and a well-informed debate needs to urgently take place in Africa on the shape and format of EU-ACP cooperation on many urgent global challenges. Questions are increasingly being asked as to whether the ACP – as a post-colonial construct that includes only Sub-Saharan countries and omits North Africa – is still relevant in a context of rapid and dramatic changes in Africa, in Europe and the rest of the world. In Africa, the gap is widening between wealthier middle-income countries and several fragile countries that are confronted with endemic problems of poverty, weak governance and conflict. Over the past 15 years, the influence of the African Union (AU) and the Regional Economic Communities (RECs) in economic and political terms has increased – not least in dealing with new global challenges like climate change, the fight against terrorism and migration. So, there are many questions as to whether there is a duplication of efforts between the mandates of the African Union and the ACP Group. In addition, over the years the three regions of the ACP have become much more heterogeneous – that is the A, the C and the P have gone in very different directions in terms of economic development, integration into the global market and how they deal with future challenges like climate change. The African Union, in partnership with the Friedrich-Ebert-Stiftung and the European Centre for Development Policy Management (ECDPM), recently organised a special conference to kick start this debate in Africa. A report by the African Union of the day’s debate sets out some of the challenges and opportunities that lie ahead and was circulated to delegates at the AU summit in Addis Ababa last week. From the passionate debate on display, it was clear that there is a contrast between those who want to pursue the ACP-EU cooperation after 2020 in largely the same fashion as before and those who openly cast doubt as to whether the Cotonou framework is still fit for purpose. One message that came strongly from many participants was that changing geopolitics has progressively eroded the foundations of the ACP-EU partnership and the bargaining power of both the EU and the ACP Group. This chimes with a recent report from the European Centre for Development Policy Management which found that the Cotonou Partnership agreement has a limited track record in delivering on several of its core objectives and the framework is ill-suited to deliver the aims of the recently agreed Sustainable Development Goals of the United Nations. Political coalitions in multilateral fora between the ACP Group and the EU have seldom materialised. This is largely due to the lack of political traction caused by the divergent interests of the member states states, and that the ACP Group does not include the whole of Africa. In practice, the Cotonou Partnership Agreement has been reduced to an aid delivery mechanism with limited political value. The recent negotiations of the Economic Partnership Agreements (EPAs) saw the trade ‘pillar’ move away from the ACP to the African RECs as Africa has set its own objective to build a continental Free Trade Area on the basis of the regional Free Trade Agreements. 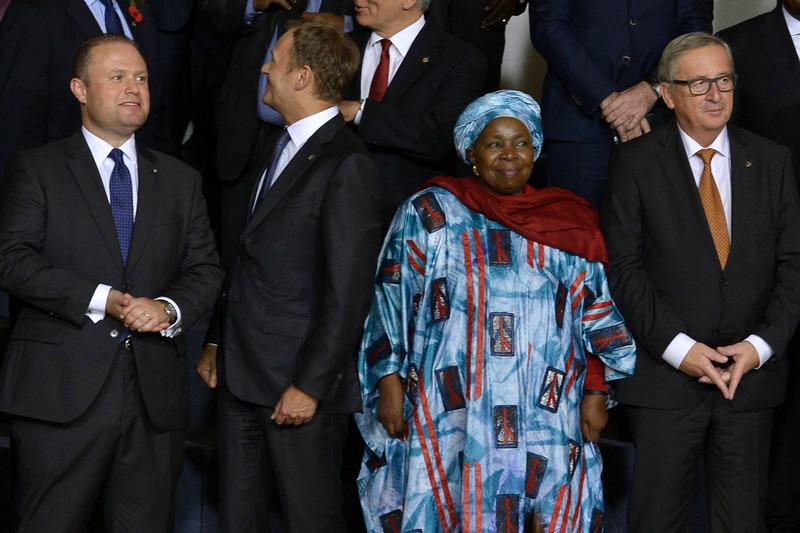 The 2015 Valletta Summit between Europe and Africa on migration demonstrates how the African Union benefits from more political traction and legitimacy than the ACP Group, providing a better structure as a continental body to negotiate with the EU. It is essential that the African Union take on a pro-active role and to stimulate an honest debate in all corners of Africa on the future of its partnerships. The challenge for all sides will be to design alternative ways of international cooperation for future challenges, which can deliver better outcomes for all states and citizens of Africa, the Caribbean, the Pacific and Europe. But these new frameworks can only deliver on ambitious goals with serious political power behind them.